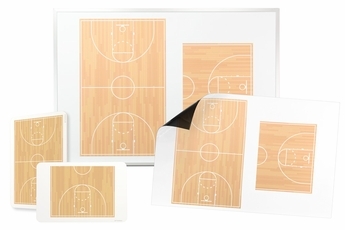 OptiMA Basketball dry erase boards are made in the USA with quality materials and a premium dry erase surface. 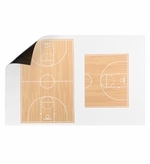 Choose from our wall-mounted boards for the home arena, our roll up magnets for the road games and our handheld boards for court-side. 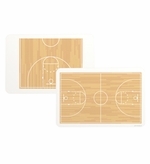 Since we make these in-house we can customize these boards however you see fit. Want to add a logo or reconfigure the layout of the board? We can do it for you. Give us a call at 1-866-366-1500 and we'll get started, it is quick, easy, and affordable and we have no minimum quantities! Large wall mounted printed dry erase board. 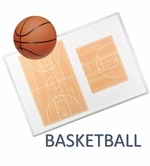 Full court & half basketball court image.